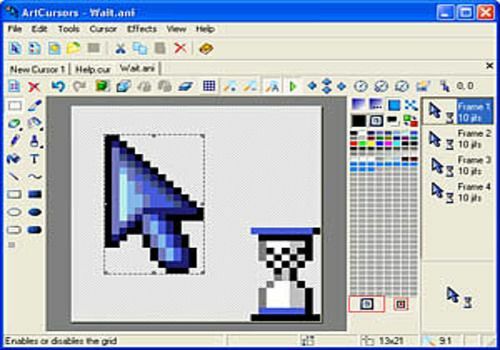 ArtCursors allows you to find and extract cursors, create and edit cursors, import and export cursors and manage cursor libraries. With this program you can create and edit static and animated cursors with color depths up to 32-bit True Color. ArtCursors contains different paint tools, including enhanced gradient fills. You can import cursors from image, icon and library files and from executables.